Selling jewelry can be easy. There are a host of different ways to do it. Do you want to sell to a trusted friend? A pawn shop? A big online site? A smaller retailer? Once you’ve decided to convert them into cash, you’ll find plenty of people willing to buy your valuables. Which one gives you the best deal? What we’ve done is examine some of the most popular jewelry-selling options strictly along these lines. Below you’ll find each option rated on all three key factors. We’ve also put together key pros and cons for each choice. Let’s get started! An established and trustworthy jeweler in your community is almost always the ideal place to sell jewelry. Experienced jewelers give you the full benefit of their expertise when pricing your jewelry. A well-established store also gives you the safety of trading with a trustworthy member of your own community. 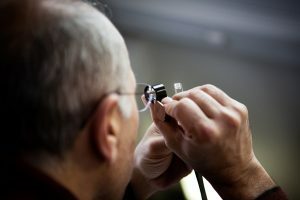 Always pick a jeweler with a strong track record for fair dealing and a positive reputation in your community. Pro Tip: Do not walk into a jewelry store and demand an instant evaluation at the counter. For the safest and most productive results, make an appointment to speak to a jeweler in a private one-on-one consultation. Not only is this process safer, it also ensures your buyer gives your jewelry his or her undivided attention. If you’ve used eBay before for buying or selling, you know what its buyers are like. They are all looking for very specific merchandise, and they want to pay no more than is absolutely necessary for it. Optimistic sellers like eBay because they love the idea of an ideal customer swooping down and paying huge amounts of money for their unwanted items. This does happen – rarely. On average, results are much less favorable. 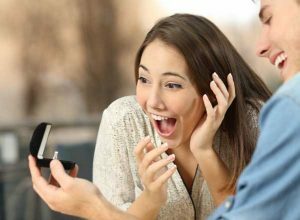 Selling jewelry on eBay is a time-intensive undertaking and it exposes you to a surprising amount of risk. You may also encounter outright scam artists when selling on eBay. There are a host of different ways to take advantage of you through the auction site. One example: An unscrupulous buyer might return your jewelry and demand a refund – after replacing parts of it (like gemstones) with fakes. Craigslist is another popular online marketplace used to sell jewelry. Selling on Craigslist involves meeting a local buyer face-to-face. While it might feel superficially trustworthy, this model actually exposes you to considerable risks. Craigslist is a terrific forum for disposing of the sort of unwanted material you might put in a yard sale. It’d a potentially-dangerous place to sell valuables. It’s impossible to know whom you’re selling to until it’s too late. Inviting a stranger into your home to examine and/or purchase valuables is a very risky idea. Even meeting in a public place is not free of danger. Safety should always be your top priority. For portable valuables like jewelry, Craigslist is simply too risky. 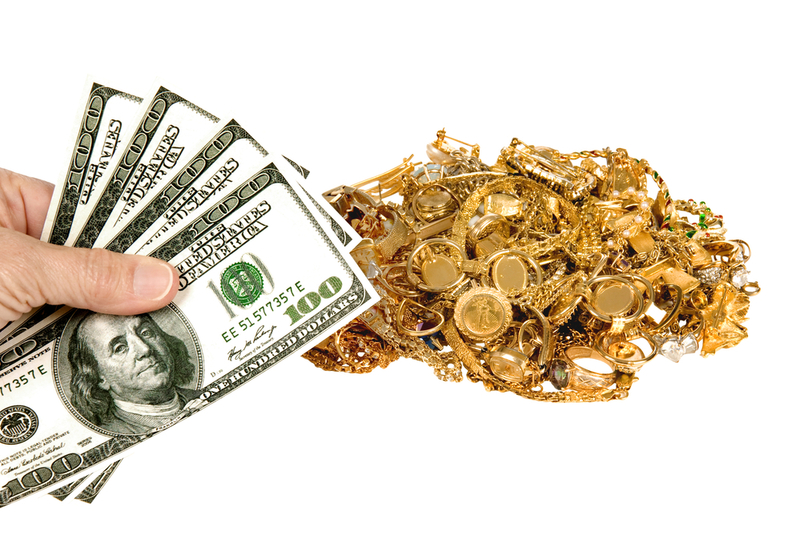 Letting a friend or relative buy your jewelry is a safe, convenient way to turn it into cash. Sometimes it’s especially important to see that your items go to a new owner that will care for them. Your safety is also assured when you sell to someone you know. The downside of selling to friends is that establishing the value of your jewelry is tricky. Even when you agree on a value, friends and relatives will be expecting you to cut them a good deal. While selling jewelry to friends is painless, it is rarely the path to getting full value for your items. Google will be happy to show you that there are hundreds of “expert” buyers out there who are eager to give you “great” prices on jewelry, precious metals, and similar valuables. Many sellers who go down this path find it longer, harder, and less rewarding than they expect. * Fees: Mail-in buyers typically charge multiple fees for the privilege of selling to them. This can take a big bite out of your proceeds. * Needless Complexity: The sales process at these sites can be fiendishly complex. Complaint procedures (if you take exception to how you’re treated) are even more complicated. * No Guarantees: Most of these companies refuse to guarantee a purchase at any point in the process. This is why their procedures are so complex; they want to push you into accepting a poor offer through sheer fatigue. The death of a loved one is a traumatic experience. Selling off their possessions can be a heartbreaking trial all by itself. Some people in this situation want to banish the feeling of loss by selling quickly, while others put the chore off in order to hold onto their memories. Sooner or later, many people turn to estate sales to handle their departed relative’s possessions. Taken as a whole, estate sales are fairly safe. They call for an awful lot of work, though. When you’re selling jewelry in an estate sale, it can be difficult or impossible to price it without professional assistance. Getting less than you deserve for your jewelry is the biggest risk in estate sales. It’s also a venue where buyers like to haggle. Grief is not a great motivator when you’re selling, and you’re likely to accept unreasonably low offers if you’re pressed hard enough. Northwest Diamonds has been a part of Portland for over 30 years. Our customers are our neighbors, and we always want you to be confident when you sell jewelry. We stake our integrity on every purchase; you can rest assured that you get the best possible selling experience every time. Security and safety are our top priorities. We evaluate jewelry via private appointments. We never pressure you to accept an offer. If you do choose to sell, we always pay immediately. If you’d like to discuss a jewelry sale or set an appointment, feel free to contact us at (503) 222-5571 or fill out our form here. Thanks for the tips for selling jewelry. My wife and I are hoping to sell some of her extra stuff for some much needed cash, so this is great. I’ll be sure to find a reputable store, like you said, that employs veteran specialists to help us. That’ll be good.